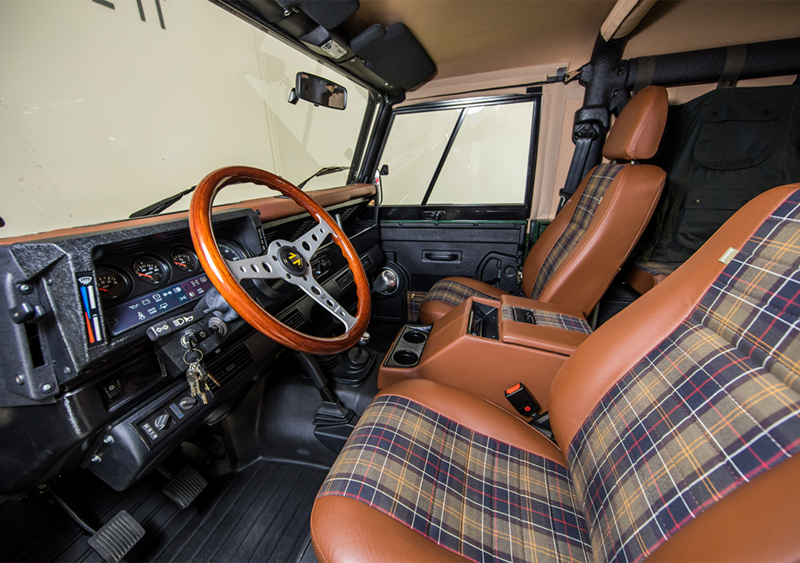 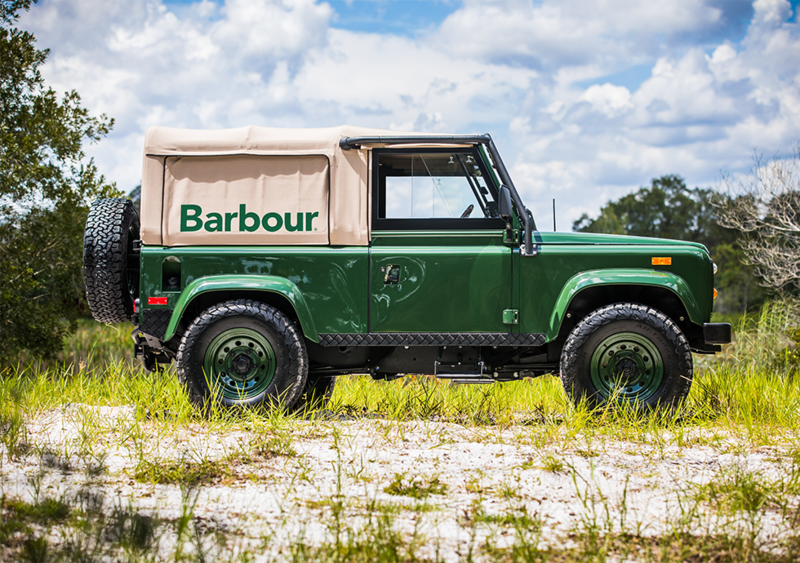 Barbour, Orvis, and Land Rover have combined to offer via sweepstakes a classy 1995 Land Rover Defender, restored by East Coast Defenders, green paint and canvas on the outside, saddle leather, tartan, and waxed cotton on the inside. 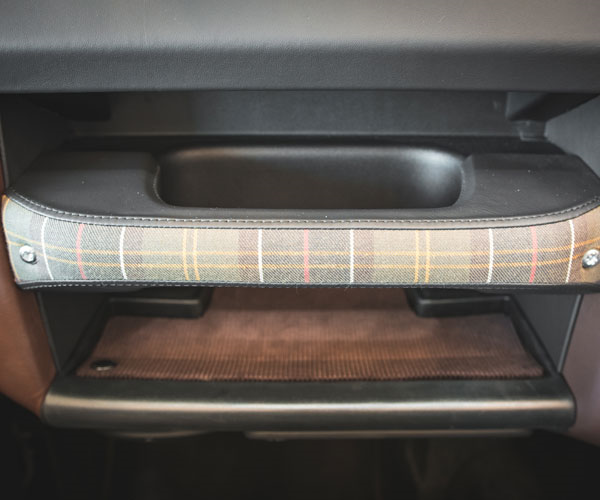 That’s the American version. 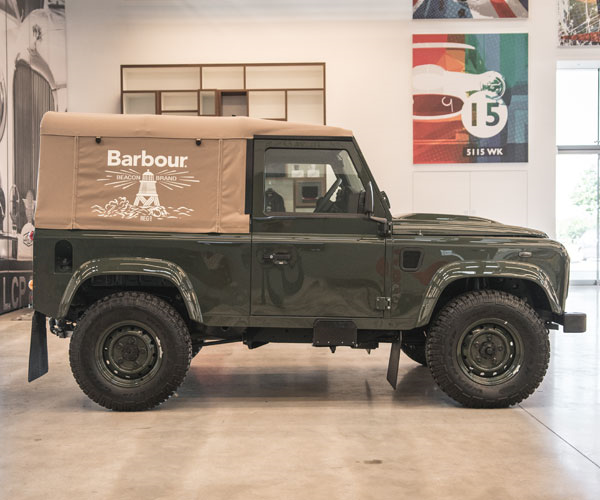 Over in Barbour’s home country, they have another custom Defender available.